Czech-Canadian Holocaust survivor and entrepreneur George Brady died on Saturday, the Czech news agency CTK has reported. 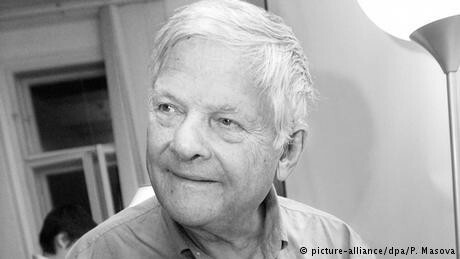 The 90-year-old passed away from heart failure, according to a relative, former Czech Minister of Culture Daniel Herman. Born as Jiri Brady on February 9, 1928 in Nove Mesto in Czechoslovakia, he and his Jewish family faced increasing persecution during Nazi Germany's occupation of the country during World War II. The family was eventually separated and sent to prisons and concentration camps. Brady went first to the Theresienstadt camp and ghetto in northern Czechoslovakia, then to the Auschwitz extermination camp in Nazi-occupied Poland. Brady's parents and sister, Hana, were murdered in the camps, but Brady escaped in January 1945 during a death march toward Germany. He moved to Canada in 1951 and later became a successful businessman. Hana, who was only 13 years old when she was sent to the gas chambers, was the subject of a book about the Holocaust that earned Brady and author Karen Levine widespread recognition in Canada. Many Canadian children know the book "Hana's Suitcase," which was later made into a movie documentary. Hana's luggage was discovered by a curator at Tokyo's Holocaust Museum, who then contacted Brady. According to CTK, Brady talked about his Holocaust experience around the world. Among his many honors, he received the Order of Merit of The Federal Republic of Germany. In 2016, Brady made headlines when Czech President Milos Zeman refused to award him a medal on National Day. The move was said to have been in response to a meeting between the then-culture minister and Brady's relative, Herman, and the Dalai Lama, the spiritual leader of the Tibetans. Zeman was criticized for prioritizing Czechia's relations with China, which sees the Dalai Lama as a subversive following an unsuccessful Tibetan uprising against Chinese rule in 1959.